The Golf Te Puke Clubhouse and our Te Puke golf course are each available for full hire for corporate events, family functions, conferences, charity events, special occasions and incentive events. A round of golf at the Te Puke golf club in the Bay of Plenty is a great way to conduct team building or relaxed business meetings, with excellent food and beverages and a great outlook over the golf course. Resident pro-golfer, Jared Pender is also available for golf lessons on request and all equipment can be hired at the Golf Te Puke Pro Shop. The Golf Te Puke Clubhouse can cater for up to 120 people, while the Te Puke golf course can handle some 160 people. Note that the numbers may be limited by catering. Should anyone want to hire the Clubhouse then any catering must be done by Sand Trappers Cafe. Call Scott (Club Manager) at Golf Te Puke for the clubhouse or Adrienne (Sand Trappers Cafe) for the catering for a full quote and further details. 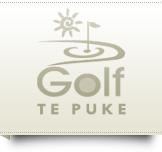 Click here for contact details for Golf Te Puke. Click here to view virtual tours of Golf Te Puke, including the Clubhouse.